Liver disease is not exactly something you would associate with children, right? But according to an article published this week in the International Journal of Molecular Sciences, non-alcoholic fatty liver disease (NAFLD) is now the most prevalent form of chronic liver disease, affecting 10 to 20 per cent of children and 50 to 80 per cent of those who are obese. The study predicted that within the next decade, NAFLD will become the leading cause of liver failure and lead to liver transplants in children and adolescents. Terrifying. NAFLD is the presence of excess fat in the liver, not caused by alcohol. According to Harvard Health Publishing, NAFLD is the presence of fat in more than 5 per cent of liver cells. In addition, NAFLD increases your risk of heart disease and can lead to an inflamed liver. Healthista spoke to Dr Daniel Fenton, Clinical Director at the Private GP Clinic, London Doctors Clinic, to gain a deeper insight on the disease and consulted him on ways to protect your child from NAFLD. What causes NAFLD and what are the long term effects? When fat accumulates within the cells of the liver, we refer to this process by the term steatosis. Over time, these fatty changes can contribute to long term liver damage or liver failure. Newer studies are suggesting that fatty liver diseases are perhaps more common in the paediatric population that we may have thought. One of the associated factors is thought to be a substantial increase in the rate of childhood obesity. Obesity is associated with the metabolic syndrome which is a combination of raised weight, insulin resistance and high level of fats in the blood stream. However, obesity is not the only cause. The process of collecting fats within the liver is complex and there are a number of inherited and genetic conditions which can also cause this process. What signs and symptoms should a parent look out for? The signs and symptoms of fatty liver disease are very non-specific. In some cases, a child may complain of malaise, fatigue, or vague recurrent pain in the upper part of the tummy. Usually, the diagnosis is considered when an abnormality of liver tests is discovered whist investigating for abdominal pain, or when liver function tests are completed as part of investigation test for another matter. These abnormal results will often lead to a liver ultrasound and subsequent diagnosis of a fatty liver disorder. Given the association with weight or obesity and fatty liver disease, one of the key preventative measures that parents can take, is to ensure a healthy, well balanced diet for their children. In children whom are overweight, weight loss and exercise are widely accepted as the first line of treatment for fatty liver disease. Reduction in weight will help to reduce insulin resistance, lower cholesterol/fats in the blood and decrease the risk of type 2 diabetes, all of which have been implicated in the complex process of fat accumulation in the liver. If you are concerned about your child speak with your GP. It may be necessary to complete liver function blood tests check the liver enzymes. If these prove to be abnormal, a liver ultrasound may be the next step, to look for evidence of fatty collections in the liver. There is a typical glowing white appearance that may be seen if this is the case. The gold standard for diagnosis is a liver biopsy, (although this is rarely done in children unless absolutely necessary) this helps to determine why there is a collection of fat in the liver. What’s really causing your child’s stomach pain? 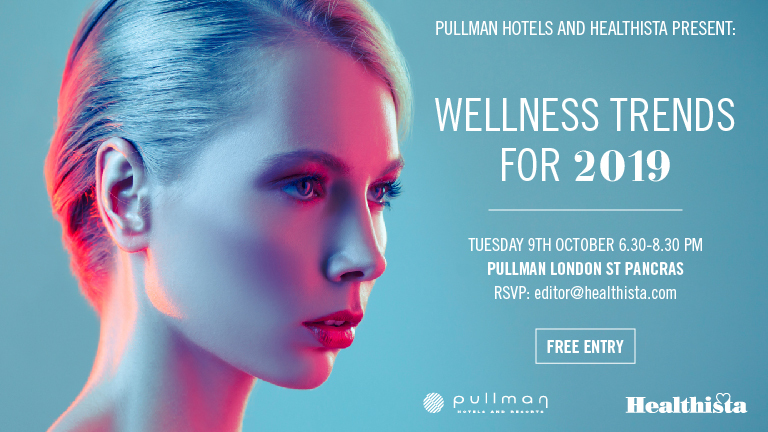 Join Healthista at the Pullman London St Pancras hotel for an evening of talks, sampling, tasting and trends with some of the biggest new names and brands in health and fitness. RSVP Editor@healthista.com – entry is free, five lucky winners will receive a bundle worth £300 and everyone will get a healthy goodie bag to take home. Read more here.